Dean Guitars go back to their roots – new Chicago Series electric guitars pay homage to the original Dean guitars produced in Chicago and introduced at the 1977 NAMM show. The V Chicago Standard has classic 70’s vibe with Dimarzio pickups, vintage colours, vintage looks. All-Mahogany body and top, chrome & gold hardware and Grover tuners. This is the guitar that people have been requesting from GJ2 since the world heard that Grover Jackson is making guitars again. Harking back to Grover’s original collaboration with Randy Rhoads, this guitar is the ultimate incarnation of the shark’s fin shape that sparked Randy’s imagination. Concorde 4-Star features: 3-piece maple “neck-thru body” construction, Basswood “wings” for light weight and GJ2 custom “Habanero” classic humbucker pickups. 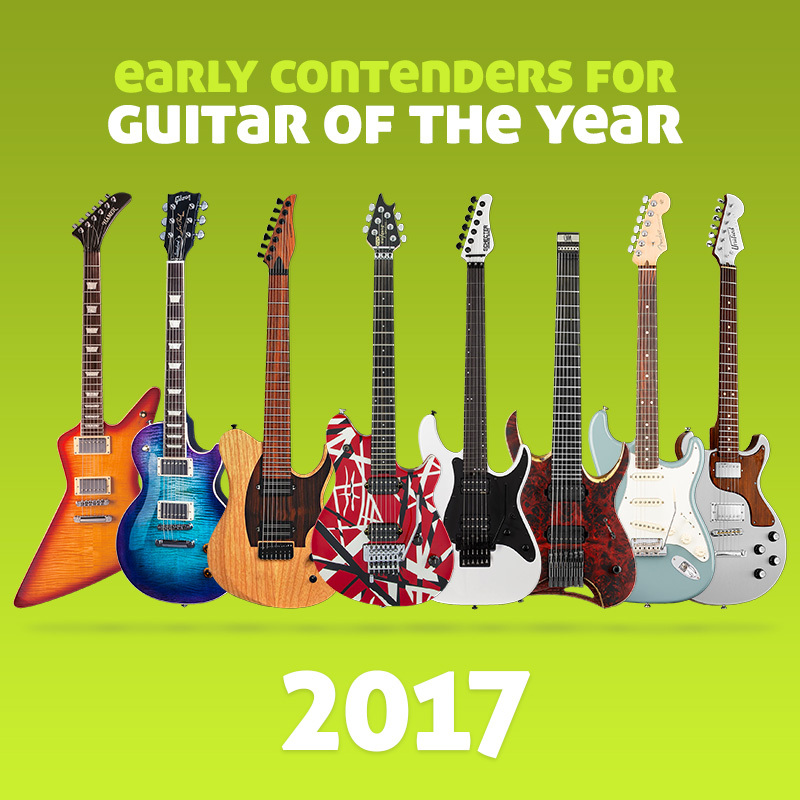 This is the guitar that people have been requesting from GJ2 since the world heard that Grover Jackson is making guitars again. Harking back to Grover’s original collaboration with Randy Rhoads, this guitar is the ultimate incarnation of the shark’s fin shape that sparked Randy’s imagination. Concorde 5-Star features: 3-piece maple “neck-thru body” construction Basswood “wings”, original Floyd Rose and Grover‘s GJ2 Habanero humbuckers.